Melbourne: The Hindu community in Australia has demanded the withdrawal of an advertisement, which features Lord Ganesha and other divinities promoting consumption of lamb meat. According to a media report, the advertisement released yesterday by the Meat and Livestock Australia (MLA) has already been referred to Australian Standards Bureau. Other divinities shown in the commercial included Jesus, Buddha, Thor and Zeus, sitting around a dining table tucking into lamb at a barbecue. The ad says "to lamb - the meat we can all eat". 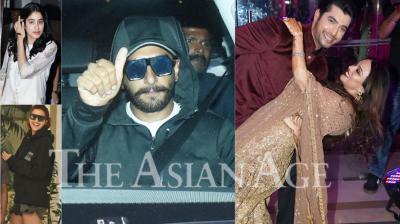 Indian Society of Western Australia spokesman Nitin Vashisht said the Ganesha ad was insensitive. "He is shown as ... Eating lamb and looking for a new marketing strategy for himself. [That] is really very insensitive to the community", ABC News quoted Vashisht as saying. People have also reacted angrily to the ad on social media. 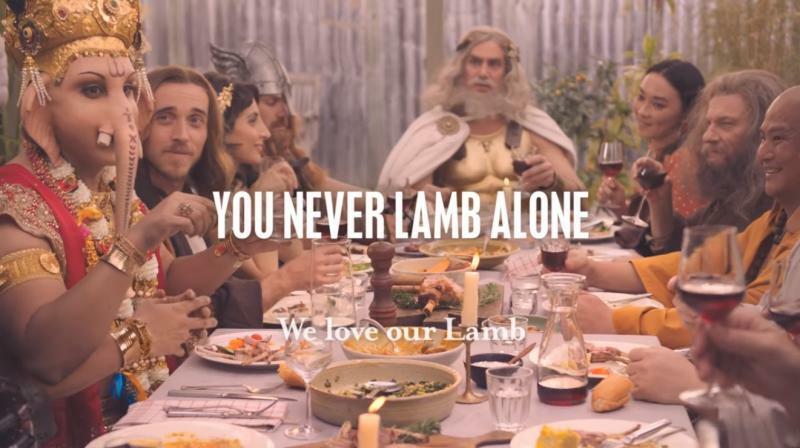 Following the controversy, MLA Group Marketing Manager Andrew Howie said the new campaign continues under the 'You Never Lamb Alone' banner and showed no matter your beliefs, background or persuasion, everyone can unite over lamb. "We know that lamb has been the meat that brings everyone together for decades, and what better way to celebrate the product than over a modern spring barbecue," Howie said. "Our marketing aims to reach more consumers by making lamb more relevant to a diverse, modern Australia. This time around we are highlighting the diversity of religious beliefs, backgrounds and dietary requirements in modern Australia. "Ultimately, our marketing activities are designed to showcase quality Australian lamb and return value to levy- payers by growing the demand for the product," Howie said.